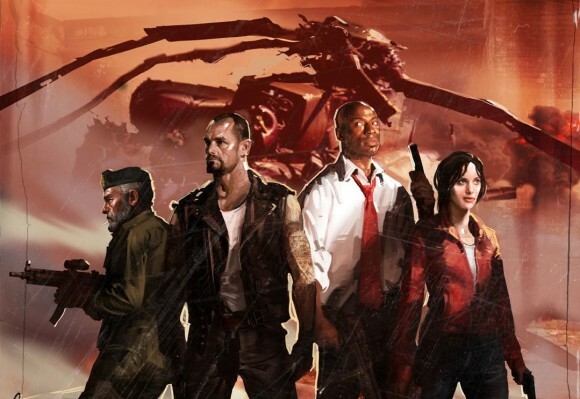 Left 4 Dead's first co-op campaign addition has been released today, about six weeks before the game's first sequel is set to be released. Titled Crash Course, the DLC is a four player co-op campaign and versus mode all rolled into one. It takes place between the Mercy Hospital mission and Death Toll as the survivors helicopter crashes after rescue. PC owners, all you need to do is fire up Steam and you'll be updated and have the latest content. Xbox 360 owners on the other hand are going to have to pony up some hard earned Microsoft Points for this - though you might want to wait. Why? As of now the price is incorrect. Update: The price has been corrected. As the above picture shows, the price is currently set at 800 . The correct price is 560 . This is an issue that Microsoft is already aware of. If you accidently purchased the content at the wrong price, Microsoft should refund you the money, though you may have to call customer support. There are some new achievements as well associated with the DLC, sadly most seem to be geared towards the versus mode. Survive the Crash Course Campaign. Restart the generator within 30 seconds of it shutting off in the Crash Course campaign. Kill 5,359 Infected in the Crash Course campaign. Win a Versus campaign of Crash Course. Your team wipes all Survivors after the escape vehicle has opened in Crash Course. As a Tank hit 20 Survivors with a car in the Crash Course campaign. Pounce a Survivor for 25 points of damage in the Crash Course campaign. Smoker pull a bile-covered Survivor until you hold him during Crash Course. Stun a Tank with an explosion in the Crash Course campaign. Your team incapacitates three Survivors within five seconds in the Crash Course campaign. So which platform will you be picking it up for? Don't forget to hit up our forums and discuss it and vote! Page created in 0.2673 seconds.